Sometimes I am a complete weirdo and buy something or refuse to throw it out or recycle it because I can reuse the packaging to save money. After years of trying to get a second reuse out of almost everything before it hits the trash can, my family is practically debt free and our weekly household trash fills a grocery shopping bag on a good week. Now I’m not saying I am some sort of hoarder (there’s no room for bunches of extra stuff when living in a condo! We do a quick check in to see if there is a need for an item and if we don't, then it is put in our recycling, donate, or trash bin.) Turns out by being resourceful with our trash there is a ton of stuff I don’t need to buy because I save and repurpose what I have around me. It saves money in an eco friendly way that works for us. Pin this post to your Pinterest boards! Share it with your friends! Some of the suggestions on this list might be new to you. Some you might already do, and others may not apply or seem appealing to you at all. Some of these items may clash with other budget, lifestyle, or eco friendly practices that are important to you. That’s perfectly OK in Lazy Budget Chef Land. This is a list of options, not absolutes to jump start your brain into thinking what might work for you. If that awesome idea isn’t listed here, please share it with us in the comments below! Disclosure:I have included some affiliate links in this post for your convenience. 1. Junk mail, packing paper, and paper mailing labels – I shred it in my cross cut shredder like this one and use in for brown in my compost bin because I don’t have access to grass clippings. You can also use junk mail, newspapers, and scrap paper to make fire bricks and logs for your fireplace or fire pit. 2. Disposable razors and cartridges – you can sharpen them after every use with a razor saver sharpener like this one and extend their life up to a year! 3. Plastic zipper bags – My husband insisted on using zipper bags for lunches and to store leftover cheese, lunch meat, etc. because plastic wrap never seems to stick to anything but itself. My comprise was to wash and reuse the bags that do not hold meat. Now I’ve pretty much given up using disposable baggies for these reusable silicone zipper lunch baggies that I absolutely adore. 4. Old gift cards - If it can’t be reloaded, I write USED on it with a marker and use it to spread glue and the like, as a brayer to remove air bubbles, as a scraper, and to make guitar picks with a guitar pick punch like this one. 5. Car clip air fresheners – like Fabreze, etc. 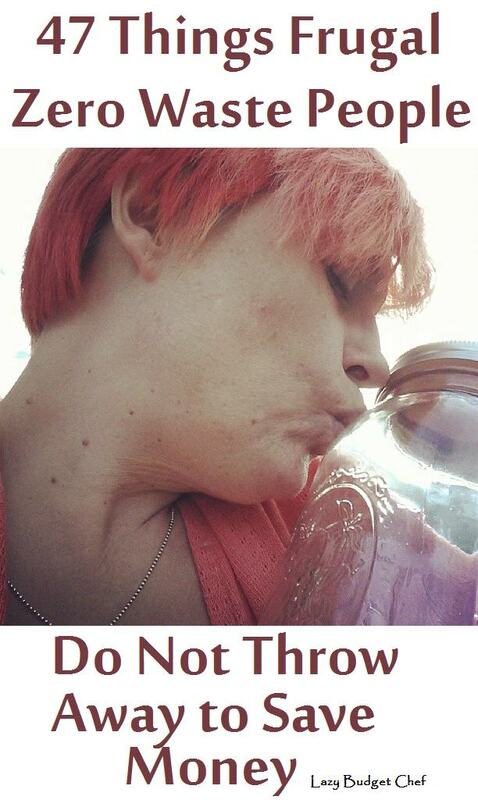 I refill it with my favorite scent. Once it gives out I’m going to buy the one of these reusable and refillable car vent air fresheners I should have bought in the first place. 6. Tennis balls – I run them through the washing machine first and use them as dyer balls to replace dryer sheets. I’ve been doing this for years and it hasn’t wreaked my dryer. The gunk on dryer sheets on the other hand started little dryer fires in my dryer which I had to replace my old dryer with my current one. 7. Makeup Remover Pads - I keep reusable cloth makeup remover pads like this soaked with my favorite cleanser in a repurposed glass jar in my bathroom to wash my face in the morning and remove my makeup at night. I give them a good rinse when I’m done and pop them in a mesh lingerie bag like this one until it is time to do laundry. So easy! 8. Spray bottles – to hold my DIY cleaners and health and beauty concoctions. You can also refill reused empty spray bottles from big refill size containers of ready made cleaners. For example, my eye doctor will refill the spray bottle of lens cleaner they gave me for life so it makes sense to hang onto it and reuse it when empty. 9. Aluminum can tabs – I don’t drink a ton of soda but when I do I save the tabs and use them as picture hangers. Some people save them to sell on eBay. Who knew? Let’s pretend I centered the hanger, OK? 10. Candle wax, wax melts, and candle jars – I like burning a scented soy candle or a wax melt after dinner to clear the kitchen of cooking smells. Naturally I can’t find the scent I like once the candle runs out. 11. Rainwater – I bought this giant rain barrel rock primarily to deal with a drainage issue in a HOA friendly way but it is nice to water my container garden with 100% free rain water. I’ve also used the water for cleaning the porch since it is right there. 12. Holiday decorations – Being allergic to most live decorations means I focus on reusable (Team Fake Christmas Tree represent!) I take care of them, repair them if needed, and reuse them from one year to the next. I keep things fresh by not decorating with every single thing I have and/or switching up what and how I display them. What I tire of I donate to a thrift shop. 13. Old towels – Our towel life cycle goes like this. When new bath, hand, and kitchen towels are worn, they turn into dog towels or cut up to use in place of paper towels in the kitchen until they get too stained. The stained towels then go into the garage workshop for staining, cleaning, etc. by which time if there is anything left, they finally go into the trash because they are saturated with something we shouldn’t compost. 14. Potting soil – Some people throw out and replace their potting soil every year. I revived ours with lots of homemade compost. 15. Cardboard boxes – Small uncoated boxes (like pasta boxes, etc.) I’ll shred to add as browns to our compost, the big guys I’ll reuse for shipping or for packing donations instead of a plastic trash bag. I don’t use them for storing items due to potential pest issues – this is how we got pantry moths. 16. Old sheets and tablecloths – For painting drop clothes. Once I made a skirt out of a table cloth because I liked the fabric better as clothing than as a tablecloth. but without the high Anthro price! 17. Wood pallets – I built all of the shelves and organizers in my workshop from pallet wood. It frees up that extra cash to buy more tools and woodworking project materials! Oh, yeah. All of the tools in the garage are mine. Read my DIY blog Condo Blues to learn what I do with them to fix and decorate my home on a budget! 18. Old clothes – I either repair, makeover (hem pants into shorts for example) or donate them. 19. Gift wrapping supplies and gift boxes– I grew up thinking every family had a box of used gift boxes, bags, and bows for gift wrapping until I was an adult and the Internet told me differently. Used non metallic wrapping paper I shred and compost although many people save it to use. 20. Old toothbrushes – I clean them in the dishwasher, mark the handle with tape/paint/marker, and use them to clean around faucets and tile grout, and for laundry stain removal. 21. Milk jugs – to hold homemade compost tea or anytime I need a gallon container for a homemade concoction. I also freeze water in them to use in a cooler for mess free block ice. Otherwise they are recycled. 22. Bar soap slivers – If the soap sliver will not stick to the new bar of soap (which happens more than I like to admit) I put them in the laundry room to grind up in homemade laundry detergent. 24. Metal cans – I reuse them as organizers otherwise I recycle them in my city bin. I don’t cook with a lot of canned foods but sometimes it pays off in more ways than convenience! 25. Grocery bags, packing parts bags, shipping bags, frozen vegetable & fruit, bread bags, and plastic packaging cut into a bag (for example toilet paper wrap) We use reusable shopping bags most of the time and for the majority of our purchases but there are times when disposable bags cross our path so we put it to reuse. We use the small bags for pet waste pickup and the larger bags for household trash. Sure the bags are smaller than a tall kitchen trash bag. You might have to make a trip to outside trash can a little more often to. The upside is your house won’t smell because trash isn’t is sitting in a giant trash bag waiting for you to fill it up before you take it outside. Try the an over the cabinet door grocery bag holder like this one if you find yourself with more plastic bags to reuse than paper. 26. Bread ties and clips, coffee bag ties – We use them to close open bags of frozen fruit and vegetables in the freezer. Most often we use them to tie off empty bread bags, frozen food bags, small packaging bags when we repurpose them for doggie duty. Metal coffee bag ties are especially useful for keeping power cords neatly wrapped behind a desk, TV, etc. 27. Scrap fabric and wood – Saving and reusing remnants turns the next project into a free or lower cost project! 28. Scrap paper – Even though I run a paperless office I sometimes end up the printer spitting out an extra sheet, have to reprint a wonky design, etc. We use it to print test copies of whatever needed or shred and compost it. 29. Seeds – My husband tried saving seeds from our container garden to see if we could do it. This year’s container gardening is grown from seeds he saved minus four herb plants I bought for instant gratification. 30. Travel toiletry bottles – Save, refill, and reuse for your next trip! 31. Condiment packets – If you have them, use them before opening a new bottle of ketchup, tarter sauce. whatever, or in a pinch when you accidently run out – raises hand. 32. Garden herbs – I love cooking with fresh herbs but I will never understand why people go to the trouble of growing summer herbs, don’t preserve them, and end buy dried later in the year. I dry them in my dehydrator like this one and store them in an empty glass jar to use when my container garden stops growing for the season. 33. Baking soda – When it is time to change the baking soda deodorizers in the refrigerator and freezer I pour the spent baking soda into a repurposed container under the sink to use for cleaning. After a good scrub of baking soda and dishwashing liquid, the baking soda deodorizes the garbage disposal as I rinse my homemade soft scrub down the drain. 34. Telephone books – We used to get these dumped on our porch even though we don’t have a landline. I duct taped several together to make a computer monitor stand and a custom height foot rest to my computer desk more ergonomic. Short girl problems and all that you know. Any future books will be shredded and composted. 35. Plastic food scoops – I use food safe scoops from my husband’s protein powder in coffee, flour, oatmeal, and other dry good canisters. Non food safe scoops are reused to measure homemade laundry detergent, washing soda, or other laundry additives. 36. Pill bottle cotton – It is annoying to buy a vitamin bottle mostly packed full of cotton. I cut it into smaller pieces and use it to remove nail polish. 37. Paper gift bags – I save them in a plastic tub for whenever I need to wrap a gift. I also started wrapping Christmas gifts in fabric gift bags like these as a sanity saver given our large extended family. 38. Cardboard pack drink holders – to keep condiments from flopping around the refrigerator door shelves and other storage. I also shred them for browns in my recycling bin. 39. Cheap travel shampoo and toiletries – If you are decluttering, experts say to throw it away but there are ways to reuse it if you hate it on your heard such as to wash delicates. as a laundry stain fighter, to wash wool clothing (newsflash Woolite is basically hair conditioner,) makeup brushes, and combs and brushes. 40. Fake eyelashes – I don’t wear them often, mostly if I’m performing in a show. You can extend their life by carefully cleaning them with a cotton bud dipped in makeup remover after each use. 41. Plastic Peanut butter jar lids – Instead of buying mason jar freezer jar lids like these, I reuse lids from 16 oz jars of peanut butter on a regular mouth mason jar. 42. Metal bottle caps - I repaired and tiled a set of dry rotted outdoor chairs with bottle caps, used them to weight and fill draft blockers for closet doors on the outside walls of my house, to replace a broken zipper pull, and if I can convince my husband, tile the bathroom floor for free. 43. Plastic containers with lids – Make great drawer and household organizers. Protein powder containers are great for homemade laundry detergent and organizing the garage. I use small containers in my craft room to use for paint water. I use the plastic lids as paint pallets. 44. Glass Bottles – I decant cooking oil, vinegar from its gallon container into a glass bottle with a screw cap so its easier to pour for cooking and fits in my pantry. The same goes for mouthwash in the bathroom and such. Not to mention, it looks much prettier than the branded container! 45. Wine corks – You can compost 100% cork wine corks, although I generally keep both of these for craft and DIY projects. replaced a broken trivet insert with wine corks, and am working on organizing every power cord in house with synthetic wine cork cord organizers. 46. 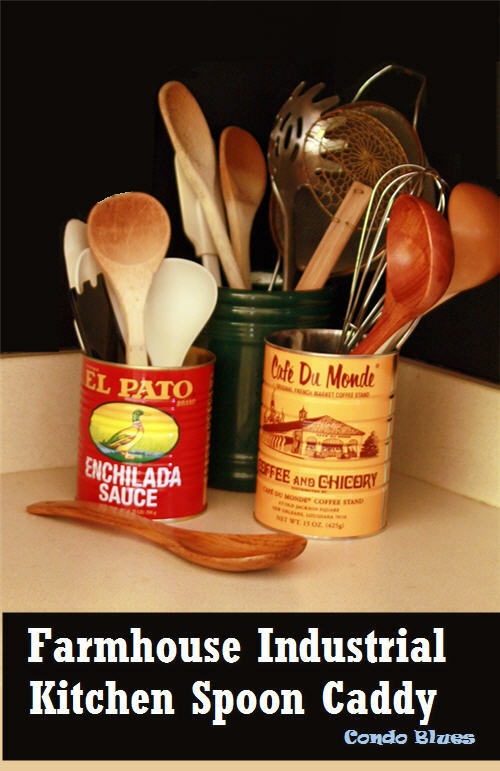 Glass jars – Make great pest free kitchen storage containers. I use half gallon mason jars like these to store baking supplies. I also use them around the house and garage to store various odds and ends. 47. Medicine and pill bottles – Fortunately I can recycle both locally. 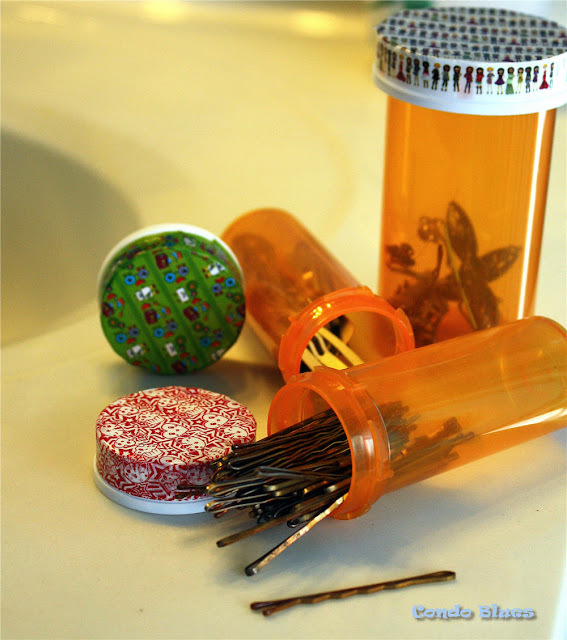 I also use them as household organizers Read how on my DIY blog Condo Blues: 25 Creative reuses for prescription bottles here. 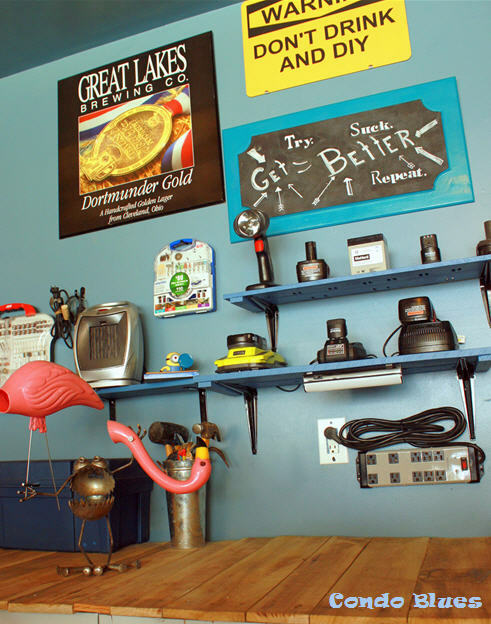 Looking for more money saving repurposing ideas? Check out the following options - and mroe! - below! What do you save and reuse to save money and to reduce household waste?